In part 2 we’ll take a look at the huge realm of cameras outside DSLRs. A boatload of compacts and ultrazooms and budget cams get announced every half-year, so I won’t highlight every single one, but we’ll take a look at some of the interesting products and general trends. An interesting thing about the “Megapixel Wars” is that the public’s fascination with megapixels as a selling point have somewhat waned. I don’t have particular evidence of this – perhaps it’s just media emphasizing it less, or perhaps even that I’ve become so jaded with the numbers that I’ve mentally blocked it out. And in any case, I’m certain that any such effect that’s been noticed has purely been with the semi-educated consumer – there are still millions of consumers who have no idea how to evaluate cameras aside from megapixel count. 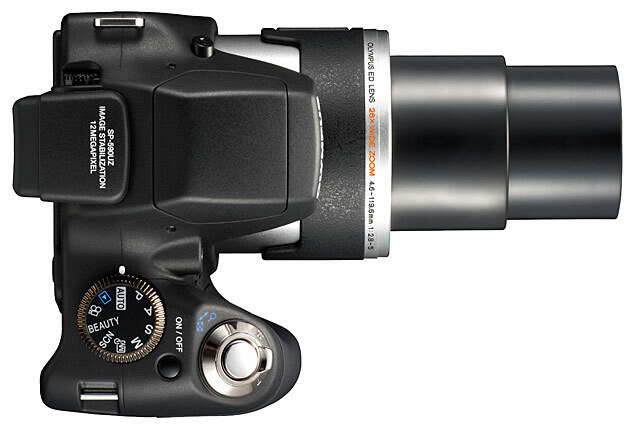 But as the emphasis on megapixels seems to recede, another emphasis over ever-skyrocketing optical zoom ranges mounts. Back in the old days, ultrazooms hit 10x (something like 38-380mm or 36-360mm equivalent), and inched up to 12x and pretty much stopped there. About two years ago, Olympus changed the dynamic of this race completely with its groundbreaking SP-550 UZ which packed a whopping 18x (28-504mm) zoom. Olympus had about a 6-month monopoly on this range, but ever since then, manufacturers have been pushing their lenses to ever stratospheric heights. A lot of people have decried this extreme push in lens design, which certainly has its drawbacks. The SP-550’s 18x lens was universally panned for delivering terrible image quality, and no camera since then has really been able to deliver that kind of zoom range in a lens that is up to par with the previous generations’ more conservative 10x or 12x lenses. Unlike pixel count, however, which past a certain point doesn’t given any usable advantages for most users and applications, a larger zoom range will always add more versatility.